Earlier this year at San Diego Comic-Con, Marvel unveiled props from Thor: Ragnarok in the form of “gladiator Hulk armor” pieces, confirming that a portion of the storyline would be an infusion of Planet Hulk. Now, director Taika Waititi has revealed another major piece from the well-known comic book storyline. In the latest issue of Total Film (photographed by MCU Exchange), the filmmaker said Sakaar, the titular Planet Hulk, will be featured in the film. 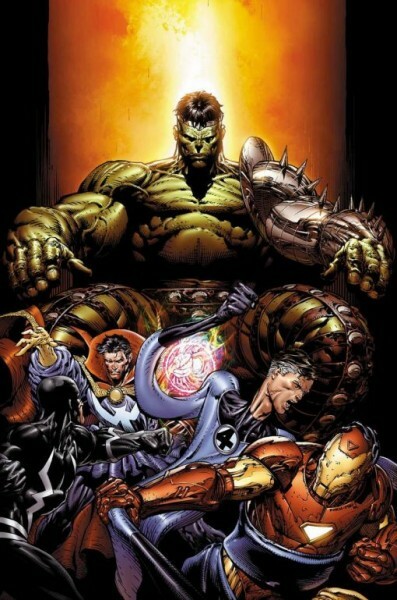 In Planet Hulk, Bruce Banner’s alter-ego found himself on Sakaar when it was ruled by a corrupt empire led by the Red King, whose forces subsequently captured Hulk and made him into a gladiator in the Imperial Arena. S.H.I.E.L.D. had planned to shoot Hulk off into space to a lush, uninhabited planet, but his ship got sucked into a wormhole, leading him instead to Sakaar. Perhaps the same will befall Mark Ruffalo’s Banner. Ragnarok also stars Jeff Goldblum as The Grandmaster, which seems like a likely replacement for the Red King in this scenario. Cate Blanchett (Hela), Karl Urban (Skurge), and Tessa Thompson (Valkyrie) join returning cast of Chris Hemsworth (Thor), Tom Hiddleston (Loki), Anthony Hopkins (Odin), and Idris Elba (Heimdall). Just like the mid-credits scene from Ant-Man was connected to/lifted from from Captain America: Civil War, it seems fair to assume this was done for Doctor Strange, which confirms Benedict Cumberbatch will appear in Ragnarok. Thor: Ragnarok is scheduled for release on November 3, 2017. Will fans get to see a “Planet Hulk” in the new Thor film?